Jewish and Muslim leaders in Germany condemn a court's decision to outlaw the circumcision of boys. Jewish and Muslim leaders in Germany were united on Wednesday in their condemnation of a German court's decision to, in effect, outlaw the circumcision of boys. The British Guardian reported that representatives of the two religious communities called the ruling insensitive and discriminatory, saying it was an attack on centuries of religious tradition. On Tuesday, a court in Cologne ruled that non-medical circumcision, practiced by most Jews and Muslims, causes bodily harm and therefore is a crime. The practice is a "serious and irreversible interference in the integrity of the human body,” the Cologne district court decided. 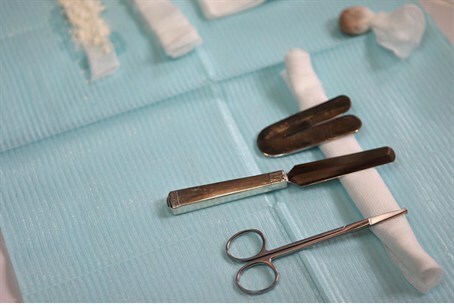 The ruling involved the case of a Muslim doctor who performed a circumcision on a four-year-old boy, who later suffered bleeding and was taken to a hospital emergency room. The decision is likely to be appealed to the Federal Constitutional Court. Religious leaders said on Wednesday that the court had stepped into a minefield with its decision, which undermined their religious authority and contravened Germany's constitution. The court weighed up three articles from the basic law: the rights of parents, the freedom of religious practice and the right of the child to physical integrity, before coming to the conclusion that circumcision was not in the interests of the child. It rejected the defense that circumcision is considered hygienic in many cultures, one of the main reasons it is carried out in the U.S., Britain and in Germany. Meanwhile in Norway on Tuesday, Center Party official justice policy spokeswoman Jenny Klinge said she wants circumcision to be declared illegal, a move that would jeopardize the future of the 700-member Jewish community. She told the Dagbladet newspaper that circumcision of girls already is prohibited and that the law should be extended to males. Circumcision is perhaps the most widely-observed religious practice among Jews. Jewish history is marked with those who have risked their lives – and many who have lost them – for upholding the mitzvah that was first performed by the forefather Abraham.